WHAT IF YOU COULD TURN BACK THE CLOCK ON YOUR HOME OR BUSINESS? A new coat of paint can change the mood of a room or exterior. Faded becomes fresh, dated becomes modern, old becomes new. But it can also increase the value of your home or business. And when it comes to your money, it's important to get the job done right the first time. When you hire Ozuna's Painting, you get more than paint. You get a transformation. Suddenly your house won’t look so dated when you show it to potential buyers. 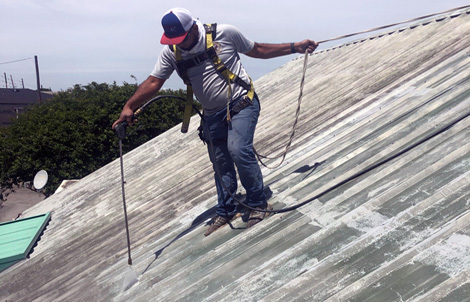 A fresh coat of paint from Ozuna’s will have your home looking like new. And when they ask to see the backyard, you won’t have to answer questions about storm damage. With our top-of-the-line exterior paints, they’ll never know your house took a beating from 50 years of hurricanes. The Best Professional Painting in Baton Rouge. With Ozuna's Painting, you get an experienced staff to handle your interior or exterior painting. Baton Rouge is proud to call Ozuna’s Painting its own. With over fourteen years of experience, we have the licensed professionals you need to tackle any residential or commercial project. And because we hire only the best painting contractors, Ozuna’s Painting delivers the quality other companies can't. 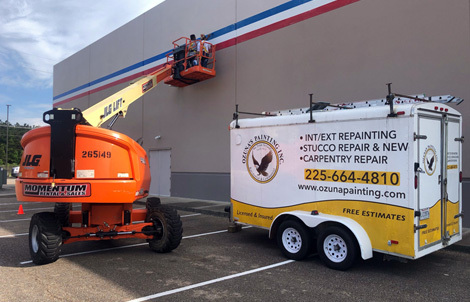 Ozuna's Painting offers a fast turnaround time, because whether you’re hosting an open house or meeting with clients, we'll do whatever it takes to finish your project, guaranteed. You shouldn’t have to wait to have your home or business looking like new. So we don’t make you wait. Get started improving your property's value. Call today for a free estimate!